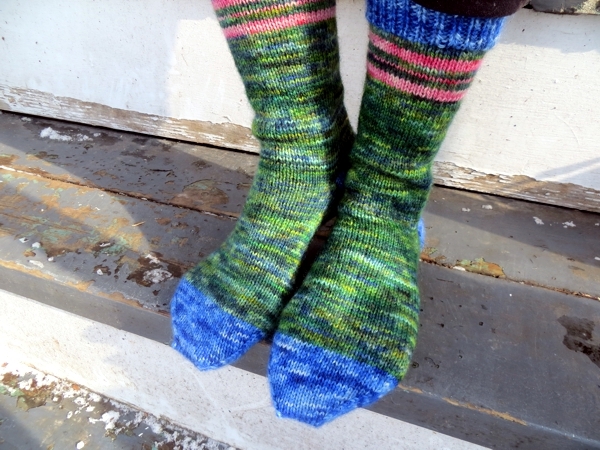 On a cold day, boy are you ever glad you spent the hottest day of summer knitting thick, warm, mohair blend socks. 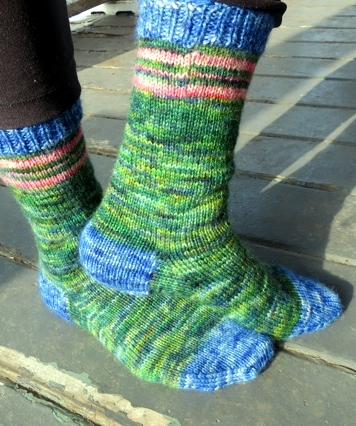 I was sure that the heavier I made these Stoddart socks - you know, the ones that blend organic-raised Romney wool with organic-raised mohair and then sit in dye baths created by the colour genius Silvia - the warmer my feet would be, and I was right. 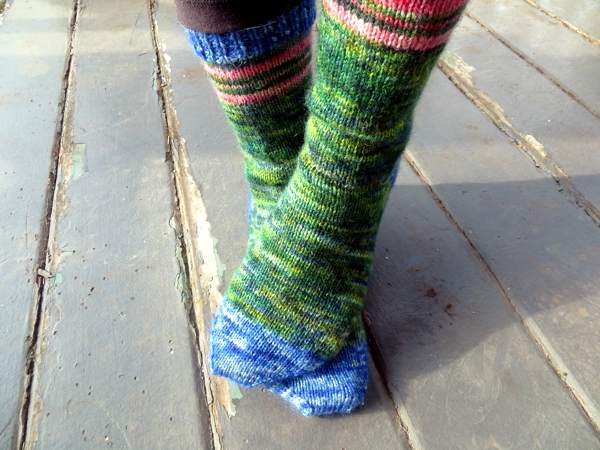 These boot socks are way warmer than the ones I made with the sport-ish weight yarn, and the much shorter, though solid-coloured, legs. They're not quite as thick as actual shoes, nor are they as fully functional as slippers, but they sure do a great job around the cold floors in my house. Inside my boots: not so much as it turns out. 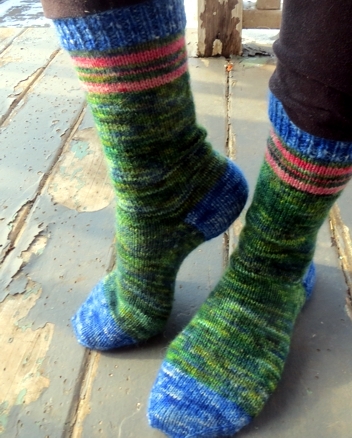 My unlined Blundstones are just a tiny bit too small to accommodate this much yarn, and my other two pairs (rubber ankle boots for slushy days, knee length monster polar things for extreme cold) are too warm to need them. And frankly, I'm fine with that. 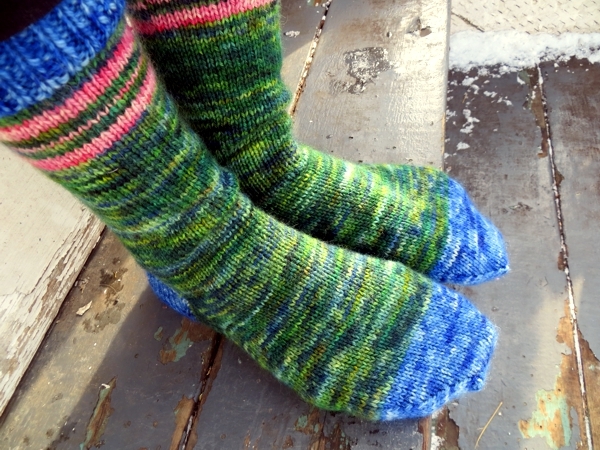 It means that on days when I'm working entirely from home, or on nights when I just want to get my feet into something comfy for a few hours before bedtime, I can pull on a pair of these cuddly socks and admire them without any other footwear on to block my view. Stay warm today and I will see you tomorrow!